The new kitchen has a clean and balanced design that alludes to an old farmhouse without re-creating a period kitchen. The search was successful. The island is actually an old cash counter from a Vermont country store. The island top is made up from barn boards salvaged from a barn on site. And the old doors with obscure or pressed glass were used to create a pantry in an awkward space around two chimneys. 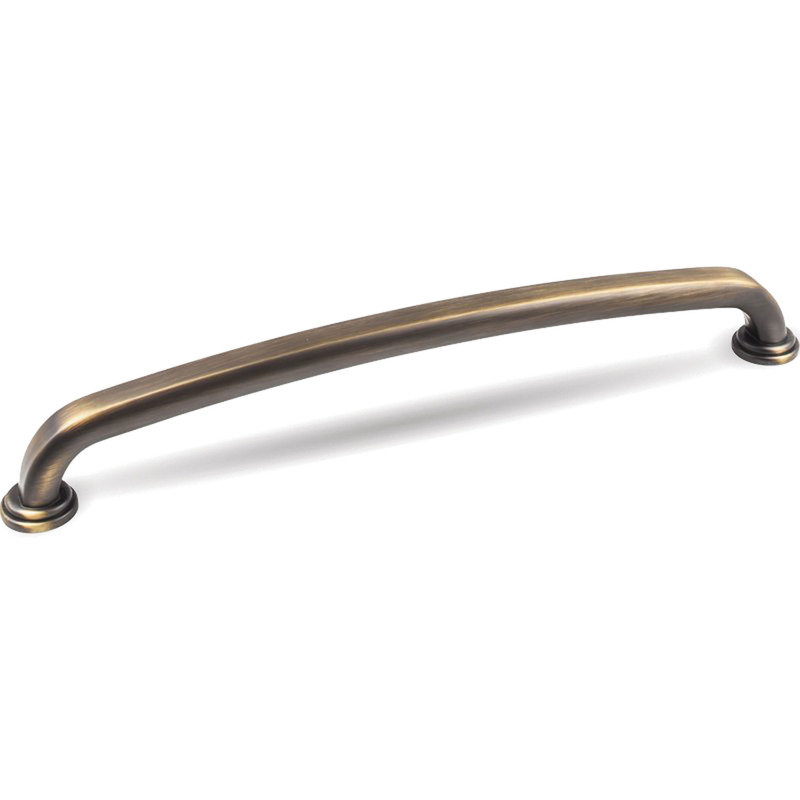 The door handles are made of reused leather. Countertops are a hard Indian marble called Fantasy Brown, which has an organic, swirling pattern that recalls the ocean right outside the door. The new room is softened, and history incorporated, by the use of salvaged materials, including a country-store counter and old barn wood. Most intriguing is the pantry built into a chimney corner, which has old doors with obscure glass. The room is in perfect balance: old and new, classic and edgy, warm and spare. 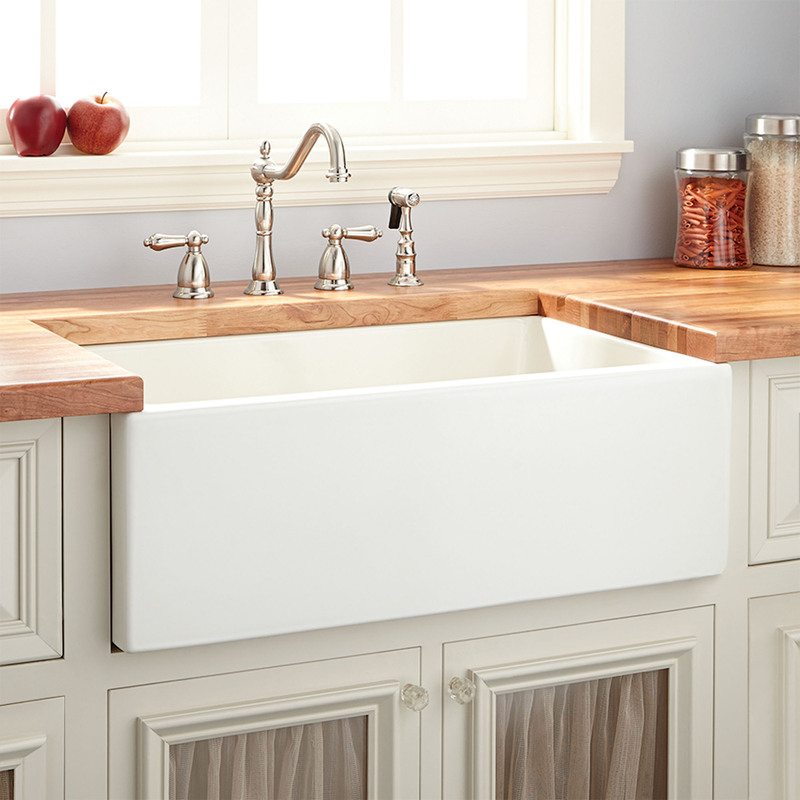 Old windows, a farm sink, and a painted floor are balanced by clean lines and the use of stainless steel. The design is crisp, yet appropriate for the old house. 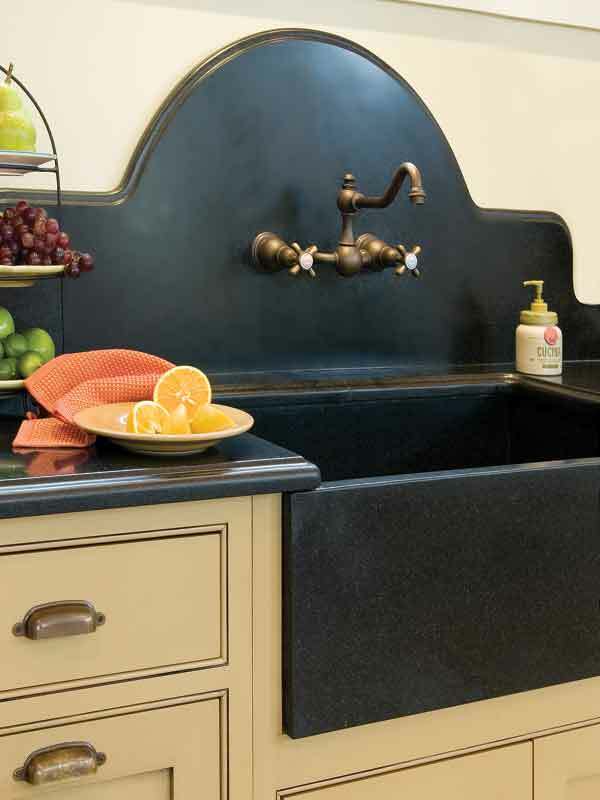 A limited palette works in kitchens of almost any era: think of soapstone and white tile, or cast iron and creamy enamel paint. Dark walnut base cabinets anchor the room while white wall cabinets and beadboard ceiling further enhance the generous natural light. 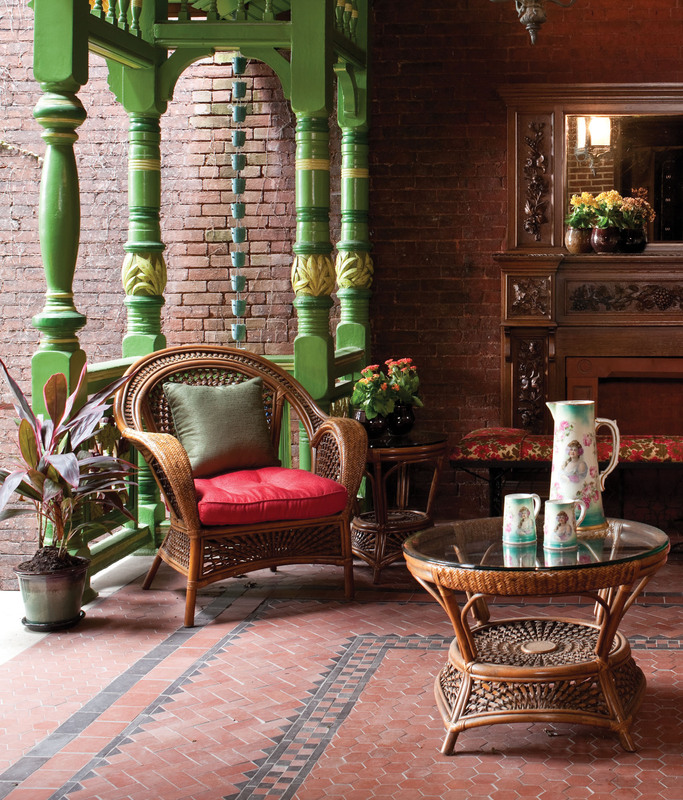 Color can come from accessories, textiles, flowers and food. 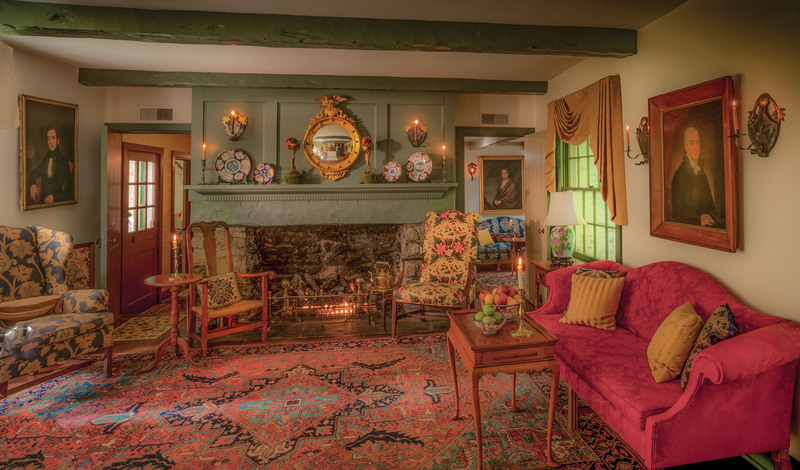 The room is kept from sterility by the addition of wood, both painted and left natural. 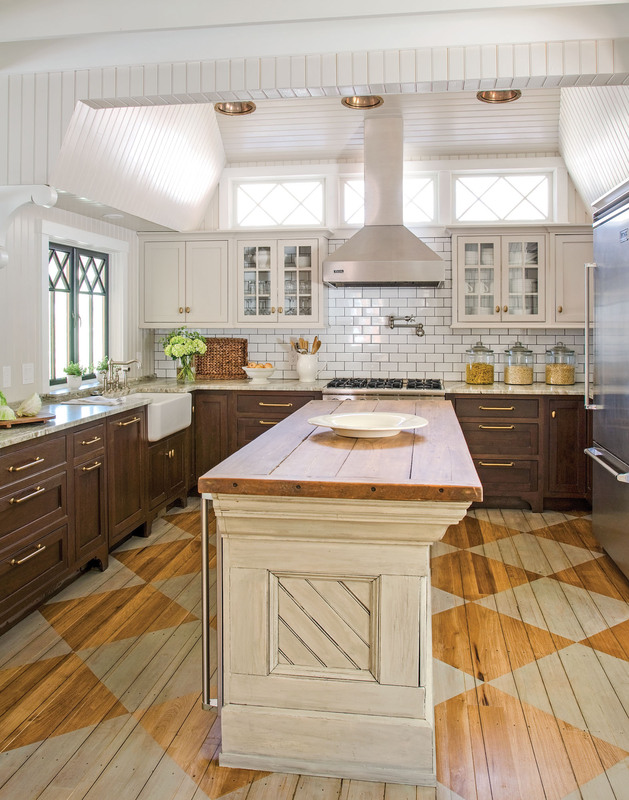 The counter island itself is a rustic piece of salvage; the checkerboard floor ties it all together. 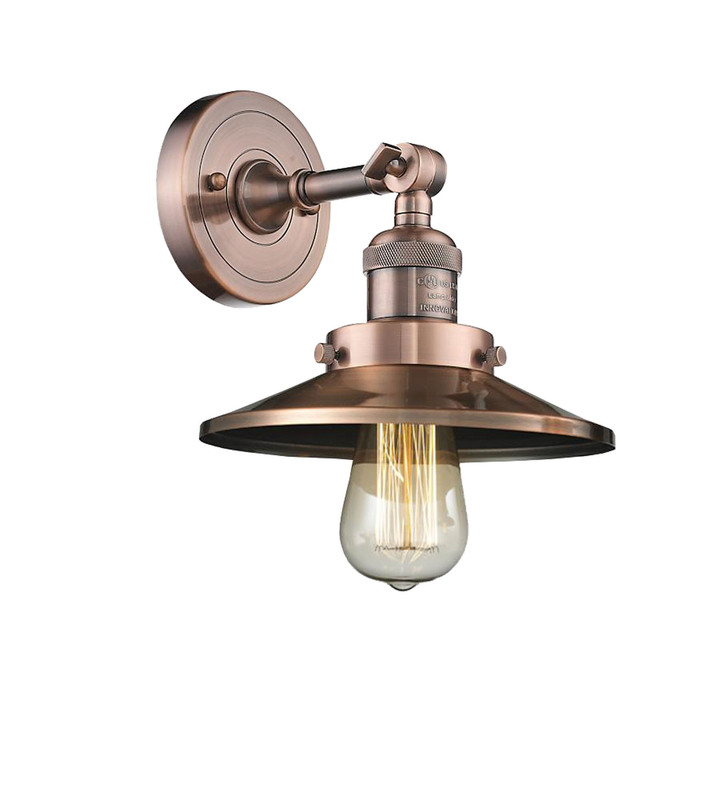 Shown in antique copper, the 8"-high metal-shade wall sconce is from Innovations Lighting’s Railroad Collection: innovationslighting.com. 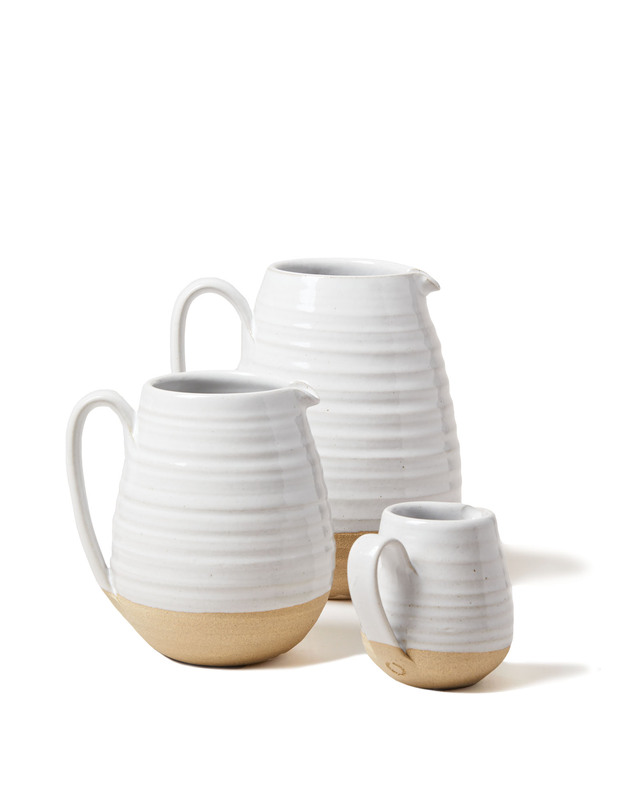 White stoneware from Farmhouse Pottery. Jeffrey Alexander’s ‘Bremen’ 12" gavel or appliance pull.